Everybody wants the best of both worlds: affordable cars that also showcase the very latest and greatest amenities. 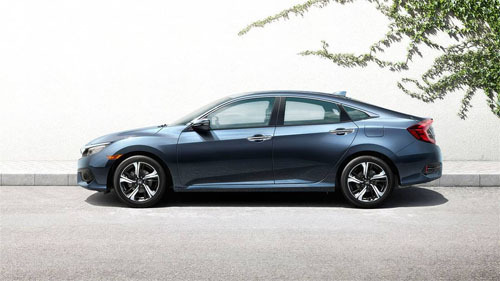 For Honda drivers, finding a car that is both affordable and feature-rich is a reality—not just wishful thinking. 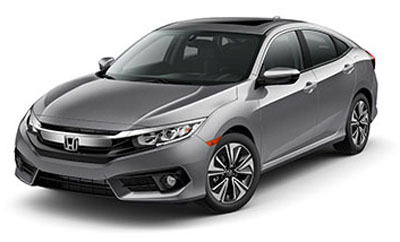 Check out these affordable and amenity-stocked Honda cars that are available to drivers in the 2016 model year. 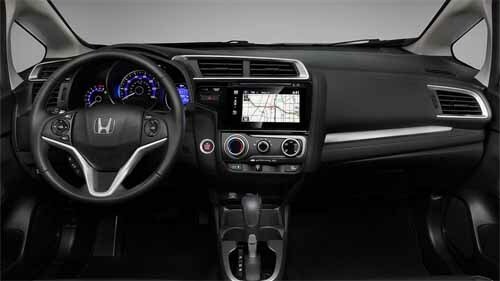 Features offered in the LX trims include an electric parking brake with automatic brake hold, multi-angle rearview camera with guidelines, Bluetooth HandsFreeLink and Streaming Audio, LED daytime running lights, capless fuel filler, 5-inch color LCD screen, and available Honda Sensing feature suite. Features offered in the EX-T trims include fog lights, dual-zone automatic climate control system, heated front seats, SiriusXM Radio, and HD Radio. Including or upgrading features found in the EX-T, highlighted amenities in the EX-L trims include leather-trimmed seats, leather-wrapped steering wheel and shift knob, driver’s seat with eight-way power adjustment, and automatic-dimming rearview mirror. 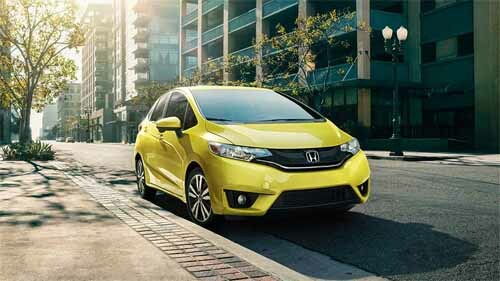 The Honda Fit is an impressive, fuel-efficient subcompact car that achieves up to an EPA-estimated 41 mpg on the highway and 33 mpg in the city. **** Despite its subcompact size, the Fit offers an impressive 52.7 cubic feet of cargo space, providing drivers with plenty of room to pack in their gear for all those extra miles they’ll be traveling between fuel stops. Standard features in the EX trim include a one-touch power moonroof with tilt feature, 16-inch alloy wheels, Honda LaneWatch, HondaLink Next Generation, 7-inch display audio touchscreen, SMS text message function, push-button start, Smart Entry, and fog lights. 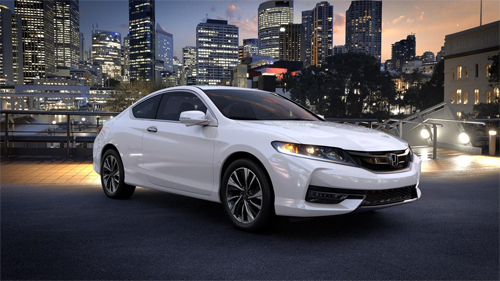 The Honda Accord Coupe has hit the highway for the 2016 model year sporting a bold, elegant new look with an aggressive new grille, alloy wheels, and eye-catching taillights with integrated LED light bars. Standard features offered in the LX-S trim include a multi-angle rearview camera with guidelines, 17-inch alloy wheels, Bluetooth HandsFreeLink and Streaming Audio, Eco Assist, daytime running lights, and projector-beam halogen headlights with auto-on/off. In the EX-L and EX-L V-6 trims, standard features include a leather-wrapped steering wheel, leather-trimmed seats, heated front seats, and a 10-way power-adjustable driver’s seat with power lumbar support and two-position memory. 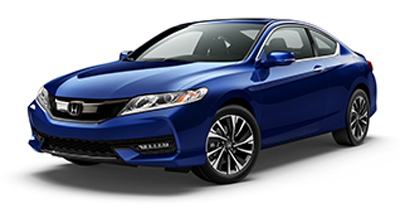 Drivers can explore and test out these high-quality, affordable 2016 Honda cars at any Hampton Roads Honda Dealer. Visit or contact one of our affiliated dealerships today and a friendly team member will set you up on a test drive. ***MSRP excluding tax, license, registration, $835.00 destination charge, and options. Dealer prices may vary. ****** Government 5-Star Safety Ratings are part of the U.S. Department of Transportation’s New Car Assessment Program (www.safercar.gov). Model tested with standard side airbags (SAB).